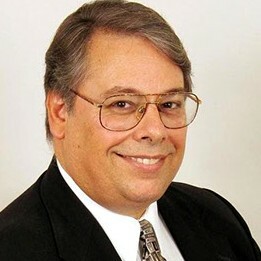 Prior to launching his own consulting practice in 2008, Kenneth Van Hoff, founder of The Business Impressionist, spent eight years working as a business consultant with the Corporate and Community Training Institute (CCTI), located at Indian River State College. The CCTI is the corporate training arm of the college and provides customized training and educational services and seminars. He also served as an adjunct instructor for the business department for three years. The combination of consulting and teaching, helped to turn Mr. Hoff's dial in the direction of creating small business consulting and coaching tools. "Teaching is very fulfilling," he said. "Because of my degree, I was one of the few that could teach finance in the college of business. It was there that I came up with some ideas. I taught the same basics to every student and decided to put that together as a business tool and then as a book. I slowly began to convert some of my coaching and consulting teachings into products." Hoff's specialty is writing business plans. When he first launched his business, he continued teaching classes and started writing business plans for other businesses. For approximately eight years prior, he represented the college at the St Lucie County Chamber of Commerce. When it was time, he stayed on with the chamber and represented his own business. Hoff got involved, became an ambassador and, as a result of his involvement and persistent networking, he's now a go-to person for Treasure Coast businesses in need of grant writing, business plans, coaching, and assistance with raising money through crowdfunding. He's even considering kicking off his first tool through a crowdfunding campaign and then pitching it on Shark Tank. Hoff's diverse background, including nine years as Director of Sales and Marketing for a manufacturer, along with his love of teaching and his artistic abilities, allows him to bring a unique perspective to the coaching table. It's also something he truly enjoys. "What I enjoy most is inspiring each to their greatness within," he said. "It's so enjoyable to help others find their way, especially students and budding entrepreneurs." For Hoff, his short-term goals are to finish his first business tool/product and get it to market. He admits that, while he's good at writing and marketing, he will need some assistance with the technical website part. His products will eventually be sold through his website, which will also provide customers access to a few books he's working on and his blogs. Looking ahead, Hoff wants to afford himself and his wife the opportunity to spend more time with their grandchild. He would also like to pursue some new inventions he's been working on and eventually license those out to produce new revenue streams. What's Hoff's advice in terms of following your dreams? "What's the worst that can happen?" he said. "There's nothing to be afraid of. Even if you fail, you'll learn something along the way and you'll just end up right back in the same position where you started. It doesn't take a lot to start, but it is important to have a plan. I tell people that a journey of a thousand miles, begins with a single step…and a map in hand. I also ask my students, 'If time and money were not an object and you've already traveled as much as you can and spent as much time as you want with family, what would you do with your time?'. A response might be, 'I want to help people'. I'll then ask questions like what type of people, what age, and what do you want to help them with. Once they answer, I ask them one final question. 'So what's stopping your from doing that right now?' It's a great way to uncover your passion."